The pro-worthy palette for easy contouring. This palette with its angled brush allows you to easily define facial contours. 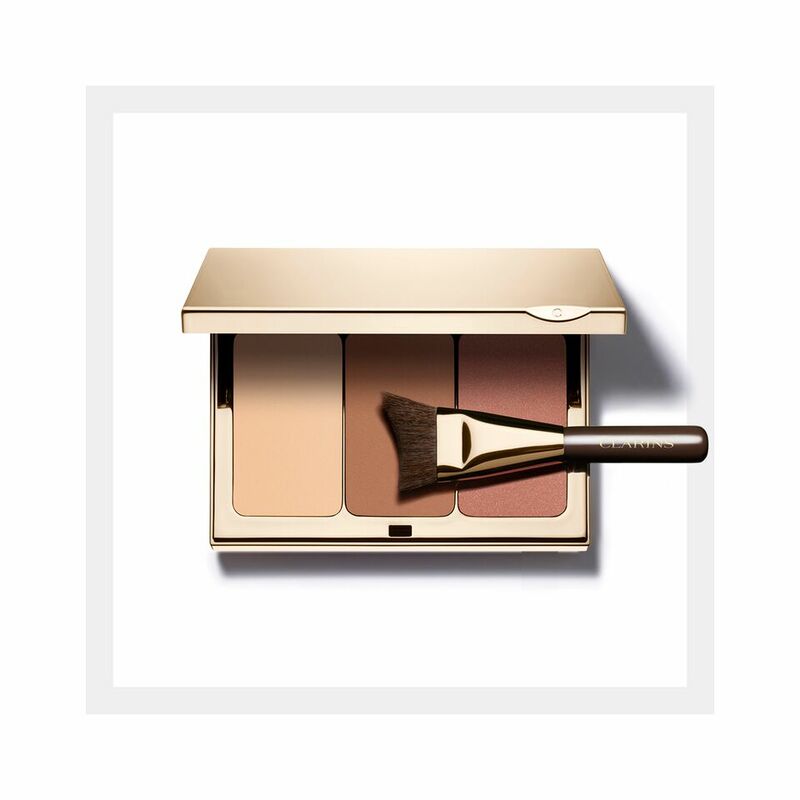 It contains three long-wearing compact powders enriched with organic sweet almond oil, as well as the Clarins anti-pollution complex, to leave skin comfortable and protected: a radiance-boosting powder brightens dark areas, a contouring powder corrects and minimises prominent areas, and a fresh-tinted blush enhances the cheekbones. Pro-quality brush for easy sculpting. Caring formula: the skin stays hydrated and protected. Trio of contouring powders to create stylish and natural looking results. Apply in the morning after applying foundation.